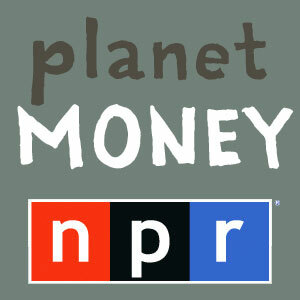 I’ve listened to 247 podcasts of Planet Money over the last several years–about 80 hours. This show is the best way I’ve found way to learn about economics in fun, thought-provoking, 20-minute bursts. I just finished a show called “The No-Brainer Economic Platform,” about six economic reforms that apparently almost all economists agree on, regardless of ideology. The major point of the show was that even though there is agreement, political candidates will not consider running on them. And if they did, they would stand no chance of winning. One of the major points (though probably unintended) of my 80-hour economics education has been that economists are much closer to political pundits than scientists. The “facts” vary widely depending on their political stance. That’s why this show was so exciting: There actually are six things that economists agree on across the political spectrum! 1) Eliminate the home mortgage interest deduction. It is extremely regressive and distorts the housing market in bad ways. They make it sound here like almost all economists are in favor of eliminating all tax loopholes and deductions, though the point is less clear. Read on, though, and you’ll see that loopholes and deductions would become mostly obsolete under this platform. 2) Eliminate the deduction for employer-provided health insurance. It’s one of the main reasons for high healthcare costs in the US. 3) Eliminate taxes on corporations. If you want to tax rich people, do it directly. The idea is that tax rates serve as incentives/disincentives. Don’t tax things we like. We like American businesses making money. 4) Eliminate the individual income tax and payroll tax. We also like individuals making money and we like businesses creating jobs. Make up for the loss by taxing consumption, I think especially on luxury items–make it progressive in some way. 5) Tax things we don’t like. Use taxes as disincentives for things like cigarettes and pollution. 6) Legalize drugs, or at least marijuana. The war on drugs is basically a massive waste of money that makes drug cartels rich. Without it, we’d have another kind of consumption that we don’t like to tax. Again, the major point of this show was that these ideas are political non-starters, but I wonder if that is true. Each plank on its own would have entrenched detractors, but as a system of reforms it’s more appealing. Pay more for your mortgage and gasoline, but pay no income tax. You would have to show people a model of it working. Here’s a challenge for any math-oriented readers: Give us some examples. How much would we need to charge for cigarettes, pot, gambling, fossil fuels, yachts, and mansions to make up for the loss of all income taxes?